An accessory navicular is an extra bone that is on the inner center arch of the foot. 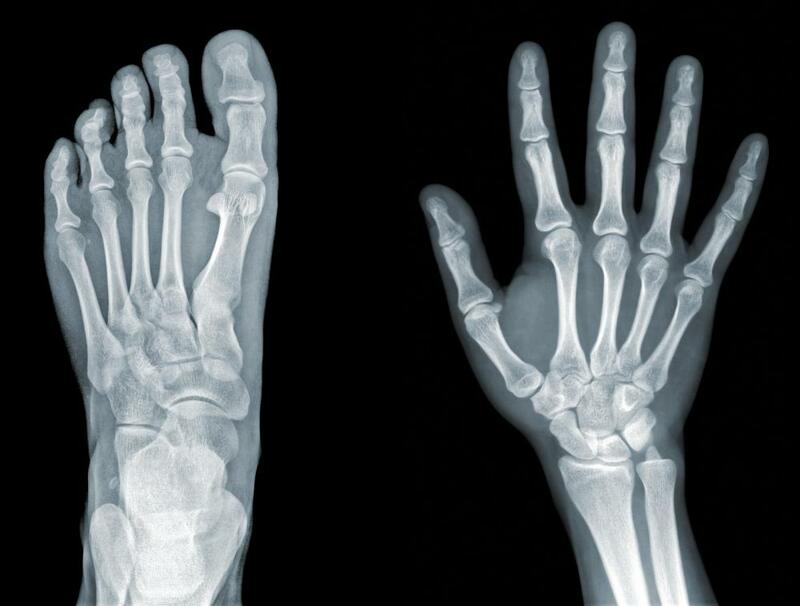 Up to 2.5% of individuals are born with the accessory navicular. Throughout early childhood, this condition is not noticed. However, in adolescence, when the accessory navicular begins to calcify, the bump on the inner aspect of the arch becomes noticed. For most, it is never symptomatic. However, for some, there is some type of injury, whether a twist, stumble, or fall, that makes the accessory navicular symptomatic. People who have an accessory navicular often are unaware of the condition if it causes no problems. However, some people with this extra bone develop a painful condition known as accessory navicular syndrome when the bone and/or posterior tibial tendon are aggravated. This can result from any of the following. Trauma, as in a foot or ankle sprain. Chronic irritation from shoes or other footwear rubbing against the extra bone. Excessive activity or overuse. Symptoms of accessory navicular include. Bone lump on the inside of the foot. Redness and swelling. Pain. The diagnosis begins with a complete history and physical examination by your surgeon. Usually the condition is suggested by the history and the tenderness over the area of the navicular. X-rays will usually be required to allow the surgeon see the accessory navicular. Generally no other tests are required. Treating accessory navicular syndrome is focused on relieving symptoms. Some treatment methods are Icing to reduce swelling. Immobilization with a cast or walking boot to reduce inflammation and promote healing. Medications to reduce pain and inflammation. Physical therapy to strengthen muscles. Orthotics to support the arch. Surgery may be needed to remove the accessory bone and reshape the area if other methods are not successful. Depending upon the severity the non operative or conservative treatment should be maintained for at least 4- 6 months before any surgical intervention. There are 2 surgeries that can be performed depending upon the condition and symptoms. First is simple surgical excision. In this generally the accessory navicular along with its prominence is removed. In this procedure, skin incision is made dorsally to the prominence of accessory navicular. Bone is removed to the point where the medial foot has no bony prominence over the navicular, between the head of the talus and first cuneiform. Symptoms are relieved in 90% of cases. Second is Kindler procedure. In this the ossicle and navicular prominence is excised as in simple excision but along with the posterior tibial tendon advancement. Posterior tibial tendon is split and advanced along the medial side of foot to provide support to longitudinal arch. After surgery 4 week short leg cast, well moulded into the arch with the foot plantigrade is applied. Partial weight bearing till the 8th week and later full weight bearing is allowed. When the cast is being removed can start building up the ROM to counter atrophy and other physical therapy treatment which include stretching and strengthening exercises.